Upon arrival, I found out the coop had run out of Argan nuts and unable to produce Argan oil for the last two weeks, that the price of Argan nuts had doubled because of a recent drought, and that the coop had an outstanding bill from its last purchase of Argan nuts during the summer. Although the supplier had delivered the previous Argan nuts order on credit, he now needed to be paid in full before delivering any more Argan nuts. 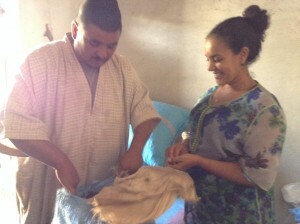 Meeting with the Argan nuts supplier. This is when I decided that paying the coop outstanding debt and the cost of the new Argan nut order was a better way for my social enterprise to help the women cooperative rather than just distributing cash to them. This way, the coop was able to purchase 4,464 lbs. 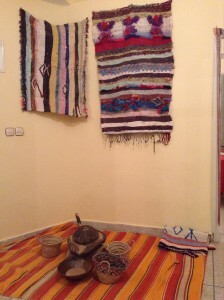 of Argan nuts that the women will use to produce about 18 gallons of pure Argan oil (both the edible and the cosmetic kind) and be debt free. 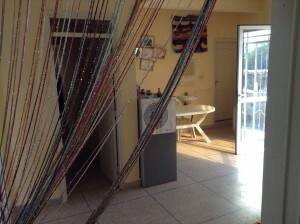 –	The women coop has a new building with reception area, shop, office, production lab, classroom, and a working room where the women crack the Argan nuts. 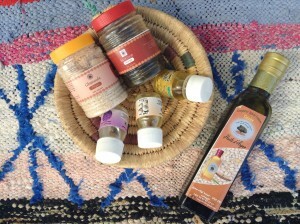 –	The women coop has expanded its product line to include whole wheat and semolina couscous, exfoliating masks made out of Argan kernels, black soap with orange blossoms essential oil, and other beauty products. 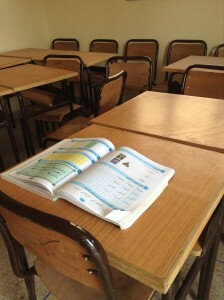 Something that is in great need at the coop is an on-site day care for the pre-school children of the coop women. The daycare would allow these children to play, learn, and socialize with other kids instead of spending their day watching their moms crack the Argan nuts. I will focus on this project next with the help of all my “beautiful friends”. 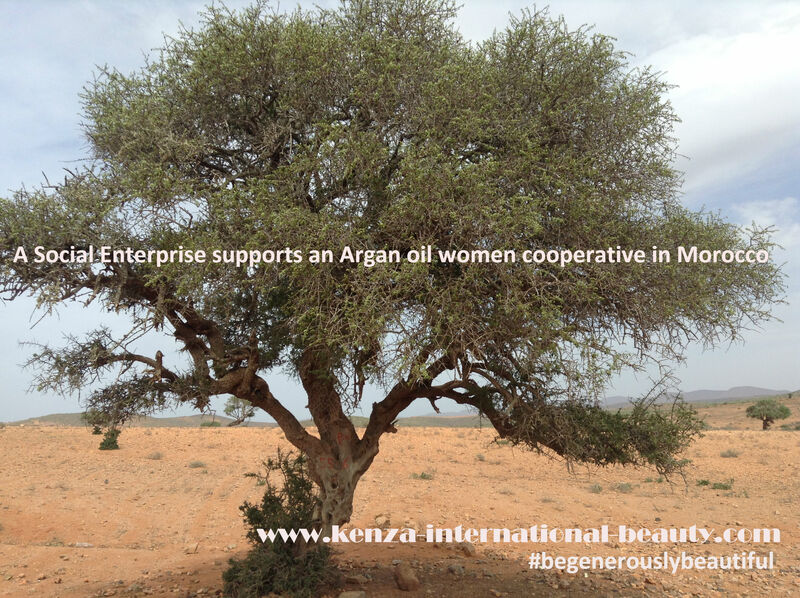 This entry was posted in Pure Moroccan Beauty Oils and tagged "be generously beautiful", argan oil wholesale, generous beauty, KENZA International Beauty, MOROCCAN OILS, social enterprise, the guardian, women cooperative. Bookmark the permalink.